Television, with its 24-hour news channels, broadcasts still and moving pictures, an endless loop of repeated violent images of events in the news. Given media thirst for breaking news and scoops, when a critical event such as an attack or a battle is repeated over several days, the frequency of its image diminishes in favour of the newest headline. 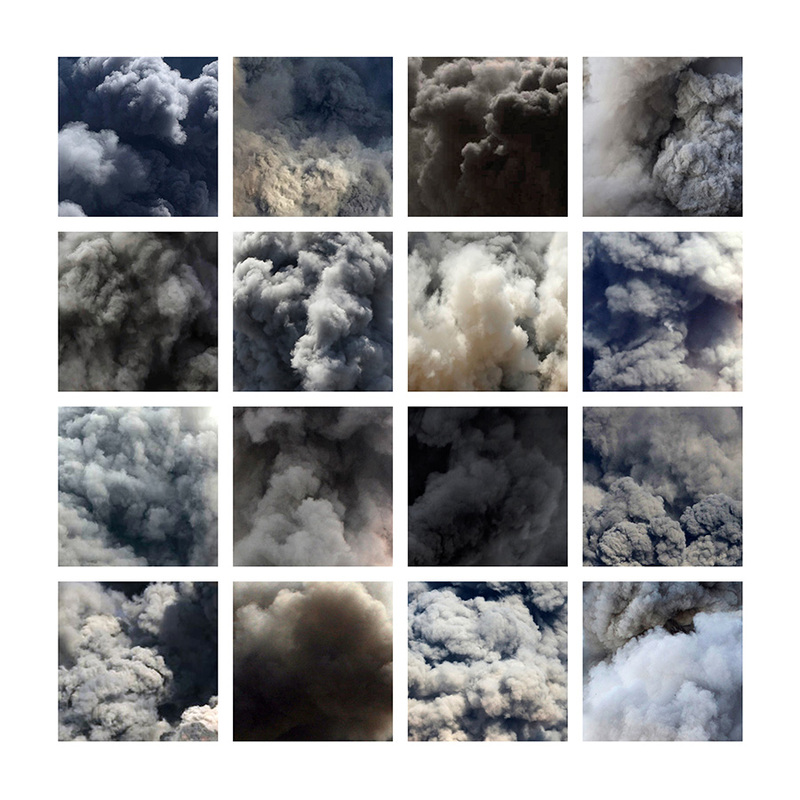 This work, made up of 16 images taken from the Internet, deals with the critical event of the 2014 Gaza conflict. These 16 images, deliberately reframed to eliminate context, play upon the ambiguity of an image and its meaning, creating an anxiety suspended between the beauty of the form and the horror of the content.